When the going gets tough, here’s how the tough keep going! 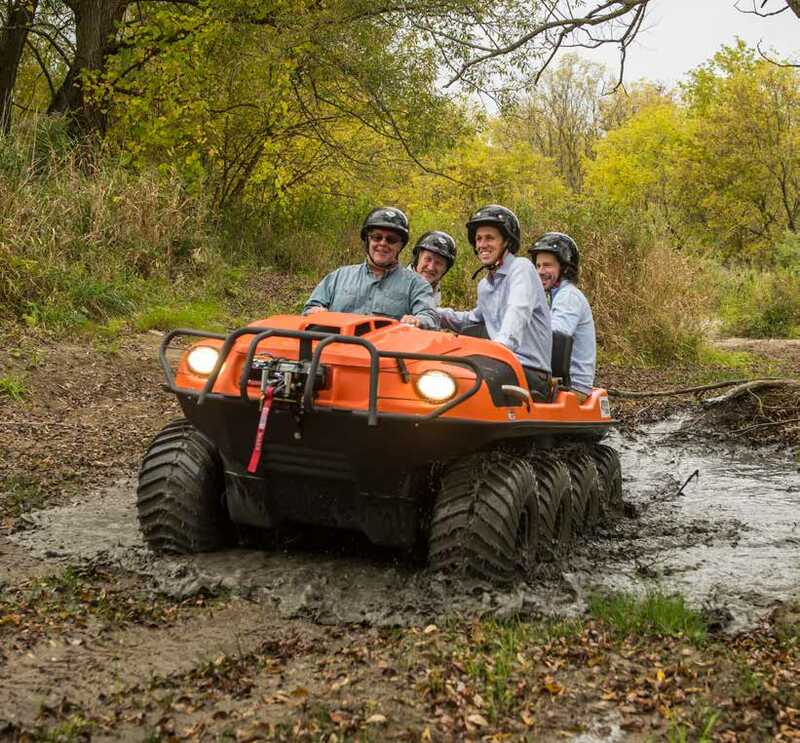 The Conquest family of XTVs is built for the people who take on the toughest jobs in all outdoors! When you work in the wild country, you don’t get to decide whether it’s a good day for a ride – you go where and when there’s work to be done. At the end of the day, Conquest XTVs give you mobility you can trust to get you to work, and get you home. Standard ARGO Conquest models are the professional choice for transporting personnel, tools and supplies to the world’s most remote work sites, with robust features to stand up to hard use every day. Maximize utilization of your Conquest with ARGO’s optional Universal Mounting System (UMS) in the rear compartment. The UMS allows fast interchange of modules fitted with special jobsite equipment, as well as powerpacks for electric, hydraulic and pneumatic tools. We asked the world’s most demanding offroad experts what they need: hunt camp operators, lodge owners, and big game guides who traverse the hunting grounds of every type and description. 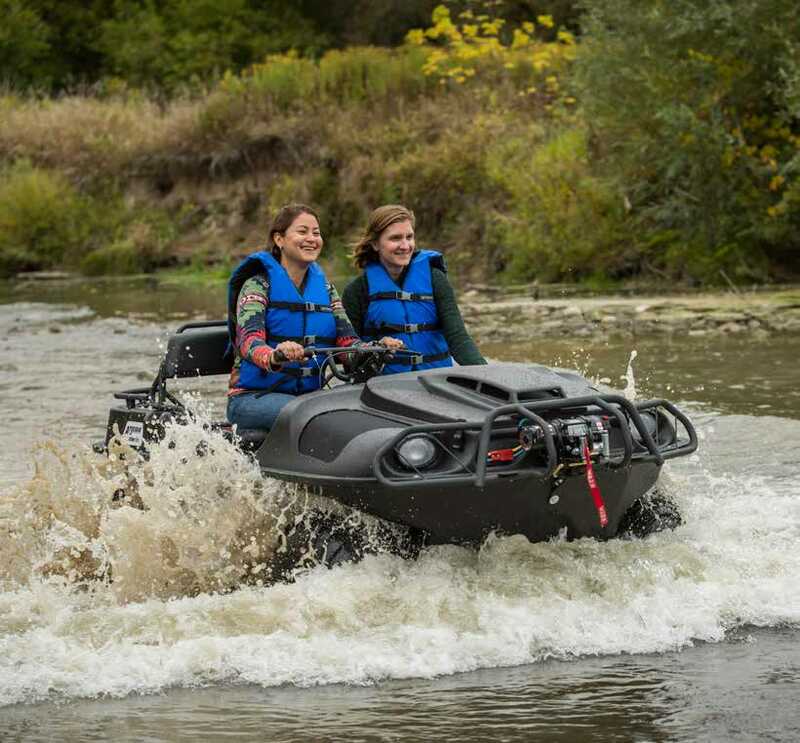 The flagship of the ARGO Wilderness Series, the Conquest Outfitter, gives them (and you) the total package. Appearance and specifications subject to change without notice. For safety, always wear approved helmets and eye protection. When operating in water, always wear Personal Flotation Devices. adding this hard-working XTV with the go-anywhere-do-everything attitude to your fleet. 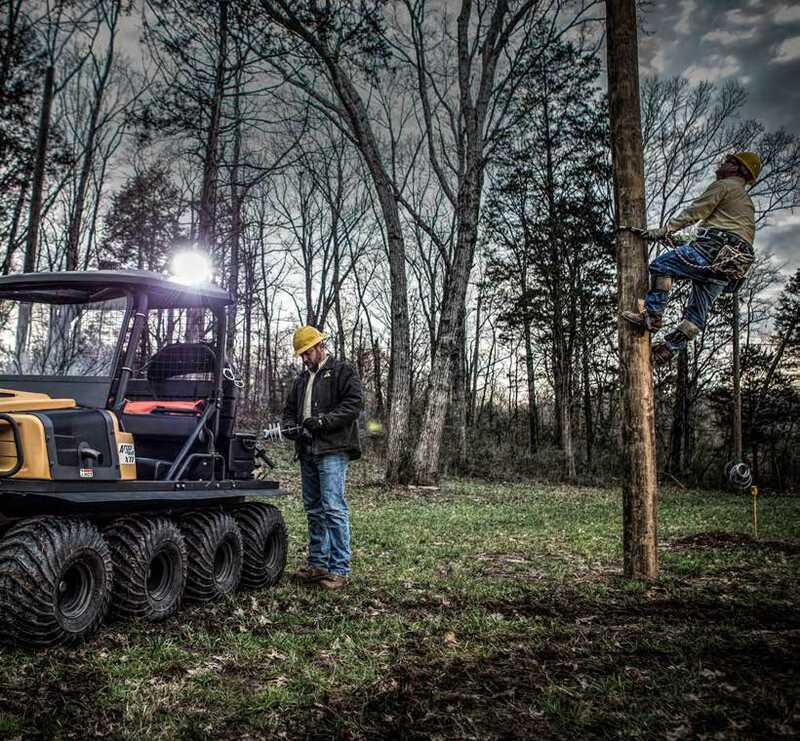 The Conquest Lineman is designed with all the core functionalities and accessories that field linemen need to get out to the service site safely and complete their work efficiently. The Lineman XTi provides ample space for tools, ropes, lights, and even a stretcher in case of emergency. Its mobility lets crews take the straightest route to power lines and communication towers anywhere, and then back home again.